Beginning in 2018, the Irish Marching Band Association will operate SoundSport events at four of their indoor and outdoor annual competitions. The second of these events will be held at the University College Dublin Sports Center on Sunday, May 20th. A program of Drum Corps International, SoundSport® is designed to provide unique performance opportunities for instrumental music ensembles of all types, in a dynamic environment. The goal is to assist in the creation of – and provide performance opportunities to – local, low cost and entertaining instrumental ensembles which provide a great experience for both the participants and the audience alike! 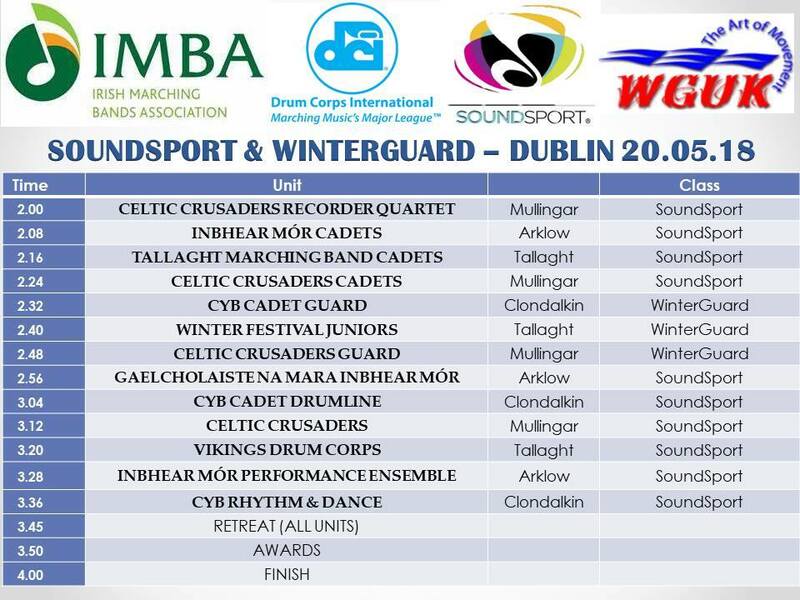 The Dublin competition will include both SoundSport and Winterguard ensembles, adding performance opportunities for a whole host of new musical ensembles from all across Ireland. For registration and event information, visit the IMBA Facebook Page or contact Oisin Malloy, IMBA Chairman, at irishmarchingbands@gmail.com.